As the Spooky Chronicles begins its second year, I’ve been doing a lot of thinking about improving the website. 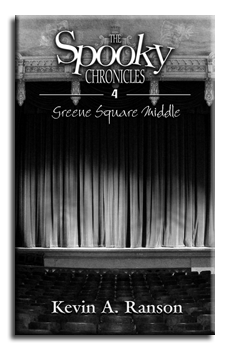 First, a request: if you’ve read a Spooky Chronicles book and enjoyed it, please go to the bookstore (or stores) where you bought them (like Amazon) or any literary website (like Goodreads) and leave a rating, review, or recommendation. It helps others find out about Spooky! Now, on with the update. Now that I have four books up in the series, each book will have its own page, with cover, trailers, synopsis, links, and excerpt, and everything. The purchase page will remain but mostly as a link to book stores where you can purchase any or all the books in one place. Hopefully, this will make it easier to explore Spooky’s world and adventures. I’m also prepping for some new trailers for all four books, each with a distinctive theme for the book in question but that will all be distinctively Spooky. Finally, under “Books,” the current book will now show “in progress” and include a meter showing where I’m at on finishing a particular volume. I’m thinking on five steps: outline, research, writing, editing, and proofreading. The writing is the longest step, but all five are important to my process. With luck, I’ll have Greene Square Middle done by Ancient City Con in late July, but we’ll see. This entry was posted in Uncategorized and tagged chronicles, spooky, updates. Bookmark the permalink.